For every quarter in each year, our VOH!cals team consist of Rinne, AhMin, VT Evil Queen, and Haruko will go through amazing vocal performances in currently active quarter. There are lots of them, but we can’t list them all out so we decided to rank the best 10 among the best. 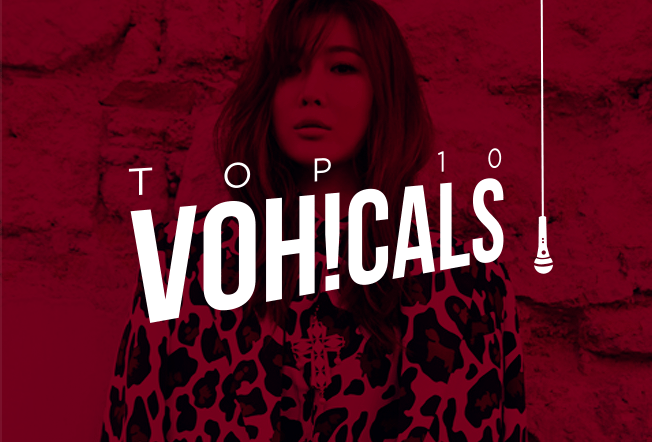 So as part of the OneHallyu Vocals Thread and OH!Press, we have come up with the Top 10 vocalists of Quarter 3 of 2015. Make sure to check out the article! You said here that K.R.Y is the strongest male vocal line right? How about Chen, Baekhyun and D.O? SHINee’s Taemin, Jonghyun and Onew or Key? Are you asking if they should be in the top 10 vocalists of the third Quarter of 2015? None of them had performances of the caliber of the other vocalists in the top 10. We don’t know about top 10, that’s too many people and too many variables could go wrong. Hey casualfan! Is that really you? Where have you been! I saw that some old analyses were deleted and updated too. Wow I am surprised at how a lot have improved and declined. Many didn’t even decline, most of us were misinformed by less trust worthy people hence when we got to these analyses we were like uh…? Lol haha yeah we came and changed this whole thing up! This is a top 10 vocals of 2015 Quarter 3, not a top 10 vocalists. The top 10 was based on the performances, not individual vocalists. Also KRY as a whole was put below Sandeul, not Kyuhyun. Why didn’t You Use Kyuhyun wildflower king of mask singer Version I thought it was better no? Because that was THIS quarter, not last quarter. And they are pretty much the same. Please update for the top 10 Vocals of q4 of 2015!! 🙂 we are waiting for that! I really like all the performances posted here. Being new to the Kpop world, I’m sad that there are no more rankings like this one.